John’s not just a great coach, he’s really a great person. I met him six years ago at the Nevada City Crit. I was having a bad day but he was so upbeat and nice about everything I couldn’t help but feel better. In fact, every time I saw him he was positive and friendly. I started noticing his coaching skills when my two boys were going to Hellyer Velodrome for the junior’s track racing program. John had all those kids racing fast and loving it week after week – very impressive! In 2014, I was trying to comeback from a serious hip injury and my goal event for the year was Master’s Track Nationals in Redmond, Washington. I was self-coached at the time but realized I needed professional support and advice. With John’s help, I won six medals and a National Champion jersey in the Team Pursuit. That fall, I decided to go all-in with John and Performance Cycle Coaching for the 2015 track season. Unfortunately, a serious crash in December kept me from training until March of 2015, when I finally hired him to coach me back into racing form. 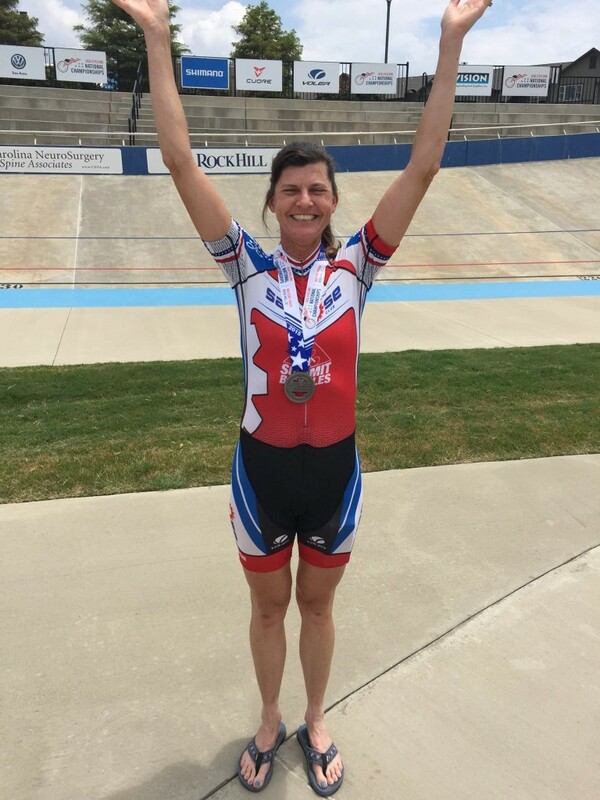 In only five months John was able to take me from out-of-shape mom to winning six medals at Master’s Track Nationals in Rock Hill, South Carolina, as well as several podium finishes in road races, including third place in the California Master’s State Championship criterium.